It’s #PreSonusFAMFriday with Tony Flammia! Today’s #PreSonusFAMFriday is the one and only Tony Flammia. Tony is the Director of PreSonus’ Commercial Audio Division and an all around cool guy who loves his family and Waffle House equally. 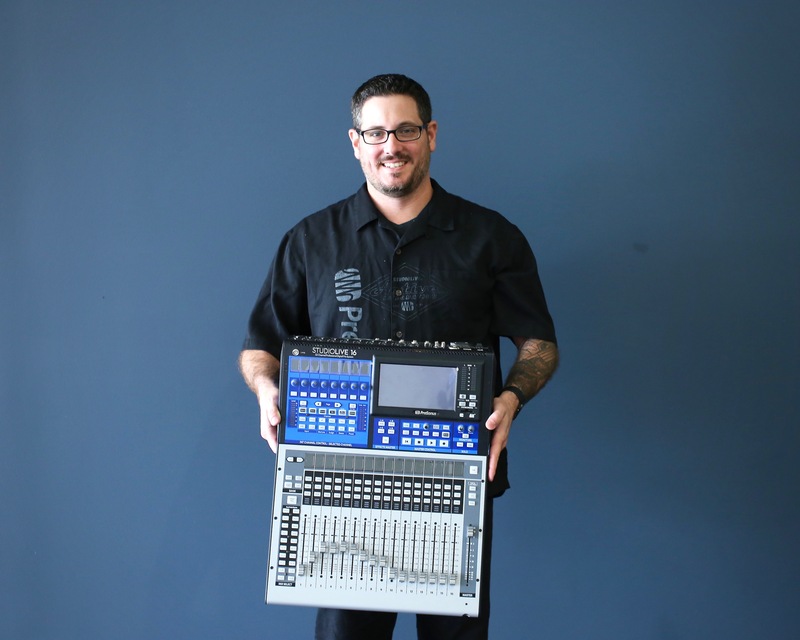 Tony spends much of his time on the road, training our commercial installation customers on the latest and greatest from PreSonus. We caught up with him on a recent trip to our HQ and quizzed him about his favorite piece of gear: the StudioLive Series III Family! I get to travel the world working with a bunch of great people. I used to be a PreSonus and WorxAudio dealer. When PreSonus purchased WorxAudio I was offered a job to help create a commercial division which has been a blast! 8 Track was Aldo Nova (Aldo Nova), cassette was Alice Cooper’s “Poison” single. CD: Skid Row. Anything from Crosby, Stills and Nash to My Chemical Romance… depends on my mood. Drums, some guitar, even less keyboards. The one with no lyrics… So anything Yo-Yo Ma. What’s your favorite piece of PreSonus gear and what do you love about it? 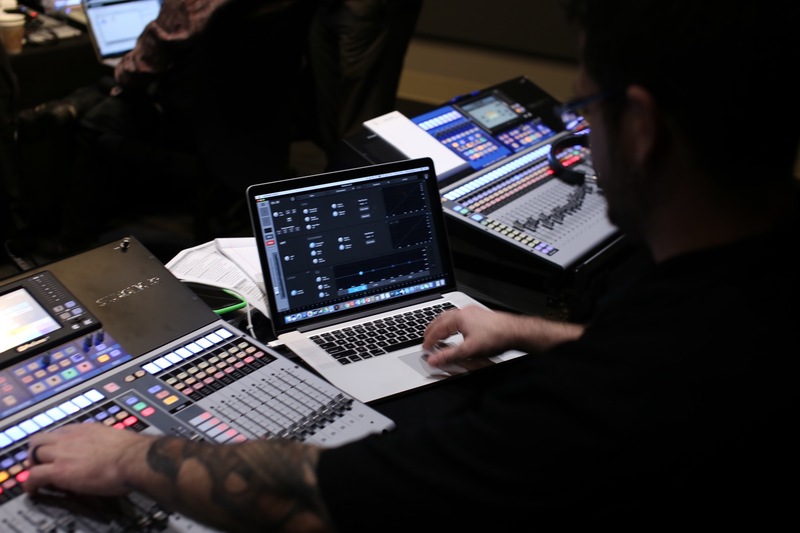 It’s a tie between the Studio 192 & StudioLive Series III Mixers. I love the Studio 192 because it allows me to take multiple high resolution transfer function measurements at the same time. The StudioLive Series III is a great sounding mixer that incorporates some forward thinking technology. I spend most of my time with the StudioLive Mixers so I’ll go with that as my favorite. AudioBox iTwo, 328AI speakers, AIR15s subs, HP4 headphones, Studio One and Notion. I just optimized a High School Theater system in Lehigh Acres Florida. The contractor changed the entire ecosystem from a competitor to PreSonus. After tuning the system the school said they never heard the system sound that good before. That’s a win in my book. Right now I working on putting training modules together for our commercial dealers. Our main focus with the commercial division is to help our dealers be the best they can be. My favorite feature on StudioLive Mixers… press and hold the TAP button to zero out parameters. I have the most supportive wife (seriously, I’m on the road a lot) and six amazing kids ranging from three to nineteen years old! They are why I do what I do. Keep up with Tony on Facebook! 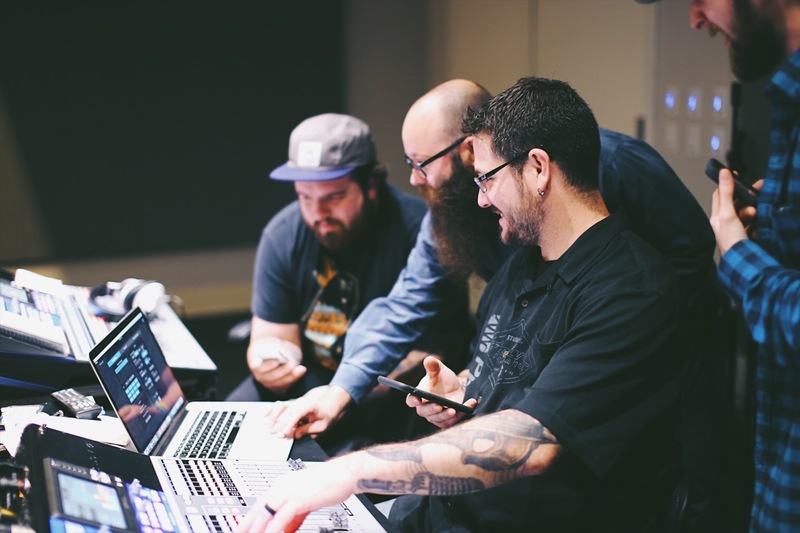 Join the PreSonus Commercial Facebook Group here! Learn more about the StudioLive Series III Family here! Posted in FamFriday | Comments Off on It’s #PreSonusFAMFriday with Tony Flammia!